it was good to have the possibility of collapsing these areas. 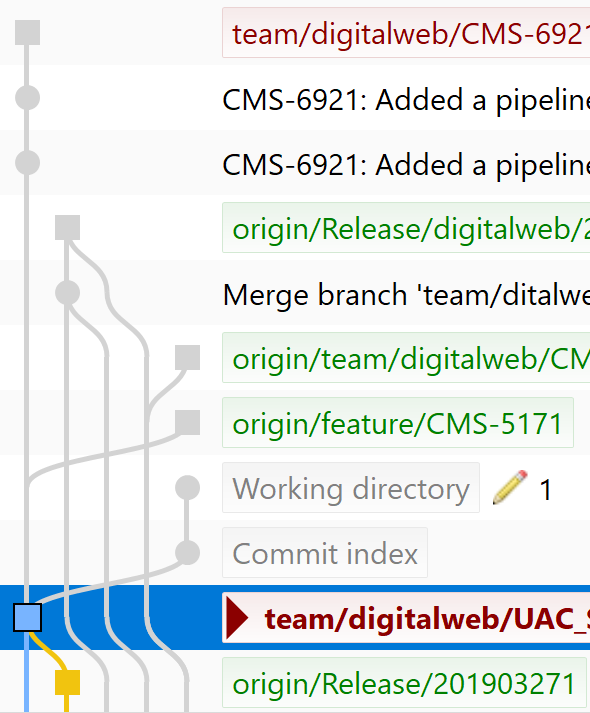 Within the past week we set up an issue tracker at https://github.com/sublimehq/sublime_merge/issues to help track requests like this. Is there any option to enable --no-ff on merge? the viewing/not-viewing branch feature is so good to have. I really missing shortcuts for common actions. I am pretty sure, it’s possible modify shortcuts in config. But I can’t find any docs, how it’s possible to make. I want shortcuts for push and pull --rebase --autostash command. I would also really like to see avatar support, if only to help me differentiate my two personas for personal and work projects when I work from home or tweak my public bashrc from work. I’m having a hard time making the Alt+click on branch eye icon to work on my ubuntu 18.04. I can click it without any modifier and it correctly toggles the visibility. But pressing Alt and clicking does nothing other than highlighting accessbility keys on the top navbar. Is there any solution to this? is easy to fix manually, if it does not yet work out of the box. This is what I added to registry. I would like to expand on this. With your solution it is only possible to open when rightclicking on the folder you want to open. I would like to add an option to rightclick on the background of a folder to open SM here. hi, I just started using Merge, I switched to it from GHdesktop. I am also wondering if it has a Publish repo feature in merge like GHdesktop? I really love the feature in Merge where you can search for commits containing specific content with the contents: ... operator, but I often have to deal with pretty large commits in our codebase, and if I’m looking for contents:$somevar, in a commit that contains ~13 hunks, and I have to check 50 commits like that, it’s still a large effort to locate the exact files/locations where this exact pattern occurs. Would it be possible to highlight the contents, or filter out irrelevant hunks in that commit that don’t contain the search query I issues? It would save so much time! Anything like this would be great! A highlight in the gutter would be the least intrusive feature that would work great, I think! I would really like to see a “high altitude” view on all the repos I work with, which ones are ahead or behind remote and by how many, and which have uncommitted files and how many, stashes, etc. I use the Select Repo pallets for switching repos like projects in ST, and since this is a list of recents, this seems like a useful place to show details like this. Although, a permanent window or a “welcome” screen like the empty-window/open-dialog would be another good candidate. If tabs were on the roadmap, I assume some information like that could be worked into the tabs themselves like unsaved edits in ST tabs. I started my GUI git work in SourceTree, and it’s repo selection window felt very good at giving you a summary of what you might have forgotten to commit or push. I’ve been using SM exclusively since I bought my license, and really love it, but it seems I’ve been leaving things uncommitted here and there, where in SourceTree I wouldn’t make that mistake so much. Edit: I wrote this script and added it to my .bashrc so that when I open a new terminal window, I get a summary of what changes I’ve made that I need to consider committing and pushing. Pass it one or more directories of projects or parent folders. Same license as Sublime but oddly with a restriction on the theme which admittedly confuses me. I can click it without any modifier and it correctly toggles the visibility. But pressing Alt and clicking does nothing other than highlighting accessbility keys on the top navbar. I also wish this, but hopefully on all platforms, not just MacOS. So everyone knows what this is reference to, having multiple windows in a tabbed single window. MacOS tabs are an OS feature and don’t translate to Windows’s window manager as this doesn’t exist there. For Linux there are other window managers that provide support for this by themselves independent of the application. I am getting the following error- kindly help! 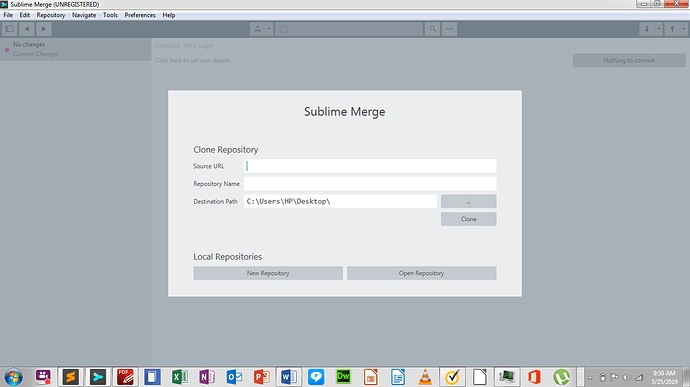 How do I begin to use Sublime Merge? I have installed it for the first time today. There is no error in your screenshot. What you’re seeing is the standard dialog to open a repository. 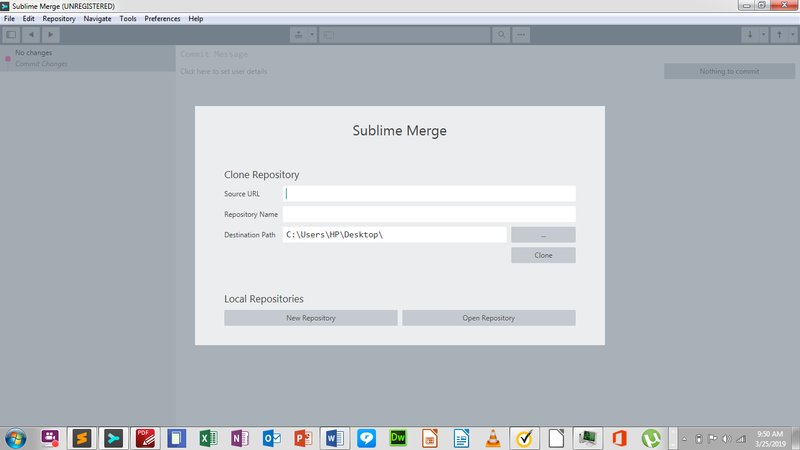 Do you know what kind of software Sublime Merge is, or more generally, what “git” is? I guess I have installed as on your way, because the issue I’m getting is the same as yours. But I’m getting the issue of NEO and SSH only. By the way it is just outstanding work they have done.